Sina Seifee researches as an artist in the fields of narrative, performance and knowledge production. Sina Seifee researches as an artist in the fields of narrative, performance and knowledge production. He has been working on the question of technology and storytelling in the arts and sciences of the Middle Ages and the past/present of material reading practices in collective life. These topics have emerged in his exhibitions, projects and performances, including Antlitz des Paradieses, Künstlerhaus Eckernförde and Galerie NEMO, Eckernförde, Germany (2017); Minbar of translation, Forecast Festival, HKW, Berlin (2017); The Pray and The Visible – An Animal Escape Case, ACADEMYSPACE, Cologne (2016); way of the pig, SAVVY Contemporary, Berlin (2016); Beauty and the Beast / Blast of the clean slate: a reading in the story of Sheikh Sanaan, Literaturhaus, Cologne (2016); NATURE, 404 / Difficult Forests in the Digital Flux, Nevertheless Gallery, Cologne (2016) and The Nature of Things, Ausstellungsprojekt des C60 Collaboratoriums und -1/MinusEins Experimentallabor der KHM, Bochum, Germany (2013). Among Seifee’s publications are ‘MOUSE BIT INTERNET’, in If a question could lie, exhibition catalogue (a.pass end-communication, 2018); ‘Zolmat and the Black-Boxed Medium of Beyond’, in BLACK HYPERBOX (PUNCH, 2016); ‘Primordial House and the Landscape of Menace’, in REFLEKTOR M, Munich (2016) and ‘The Ascetic Cat’, in Journal der Kunsthochschule für Medien Köln N°4 | Affären und Affekte (2015). After moving between fields of applied mathematics, Iranian ancient literature, and philosophy during his undergraduate studies in Tehran, he completed his education in visual arts at the Charsoo Institute of Art, Tehran (2008). He received a postgraduate degree in Media Arts from the Kunsthochschule für Medien, Cologne (2014) and another in Advanced Performance and Scenography Studies from a.pass, Brussels (2016). Over the past four years, he has been working as a researcher, lecturer and performer in technology, postcolonialism, globalism and intercultural mythologies. Born in 1982 in Tehran, Seifee currently lives and works between Brussels and Cologne. 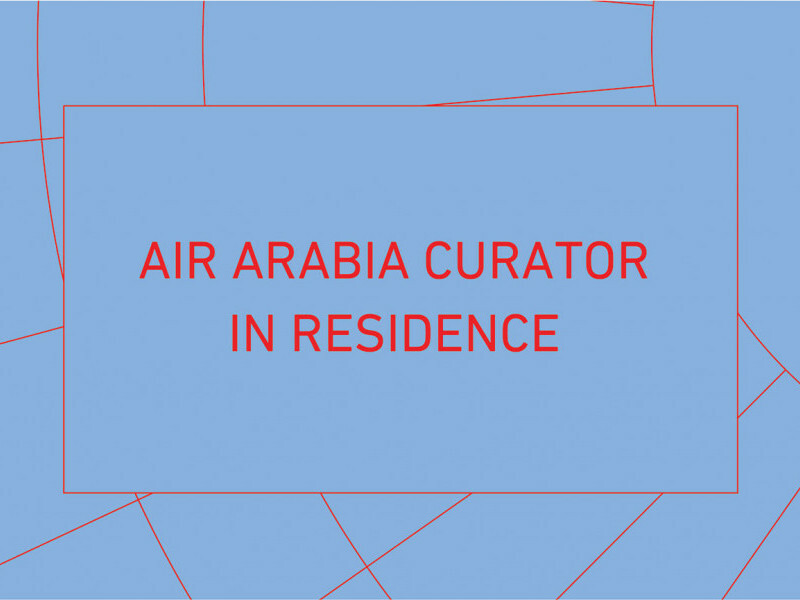 Sharjah Art Foundation in collaboration with Air Arabia announces its annual open call for a Curator-in-Residence programme.